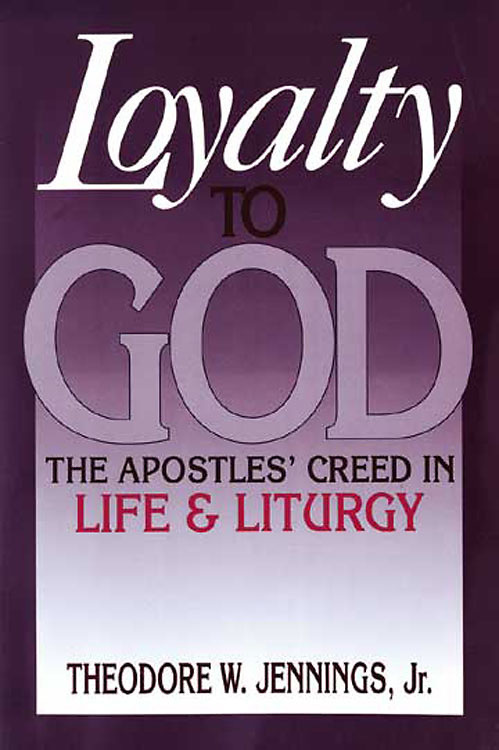 Loyalty to God: The Apostles' Creed in Life and Liturgy offers an interpretation of the Apostles' Creed, addressing the subject from both biblical and contemporary theological perspectives. Theodore W. Jennings, Jr. asserts that the Creed is a vow of loyalty to the God who adopts, liberates, and empowers us. Jennings' interpretation follows the outline of the Apostles' Creed and focuses on the biblical texts on which the Creed is based. He provides notes indicating both ancient and contemporary interpretations of the Creed's clauses under discussion. He focuses on the implications of what it means to use expressions such as 'credo' and "I believe..."
This book is intended for pastors as well as professors and students of Systematic Theology, Church History, and Worship. Author: Theodore W. Jennings, Jr.